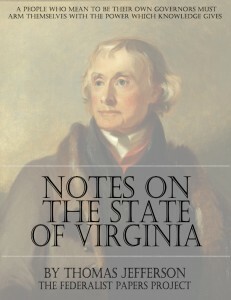 Notes on the State of Virginia is the only full length book written by Thomas Jefferson. He finished the first edition in 1781, and updated and enlarged the book in 1782 and 1783. 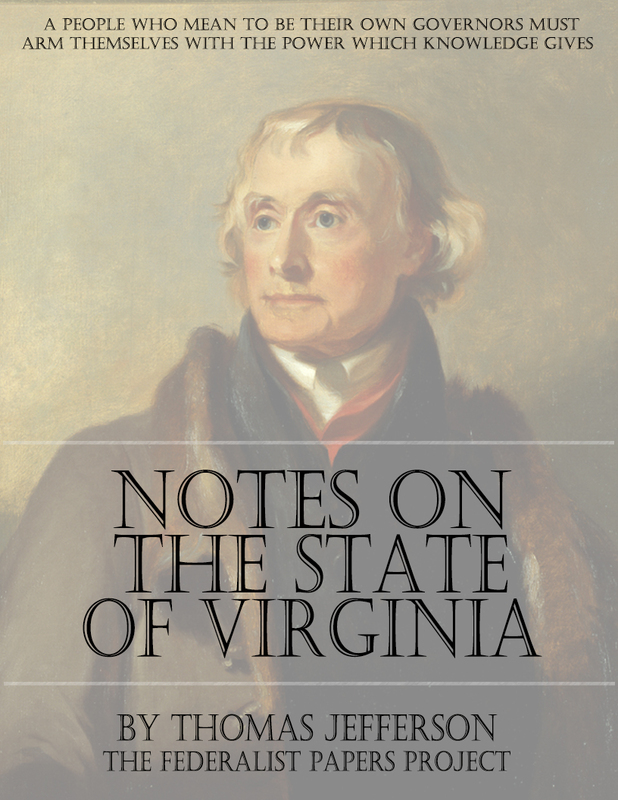 Notes on the State of Virginia originated as Jefferson’s response to questions about Virginia, posed to him in 1780 by François Barbé-Marbois, then Secretary of the French delegation in Philadelphia, the temporary capital of the united colonies. Often dubbed the most important American book published before 1800, Notes on the State of Virginia is both a compilation of data by Jefferson about the state’s natural resources and economy, and his vigorous and often eloquent argument about the nature of the good society. The larger part of Jefferson’s philosophical reputation was based on this book during his lifetime. Notes on the State of Virginia was, also the most frequently reprinted book ever besides the Bible for almost 100 years after its initial publication.